Greens/EFA MEP Claude Turmes argues that when it comes to energy efficiency talks, EPP lead negotiator Markus Pieper is trying to turn his group into a “European Polluters’ Party”, in an attempt to break the historical pro-climate position of his political group ahead of a defining vote in Strasbourg on Wednesday (17 January). 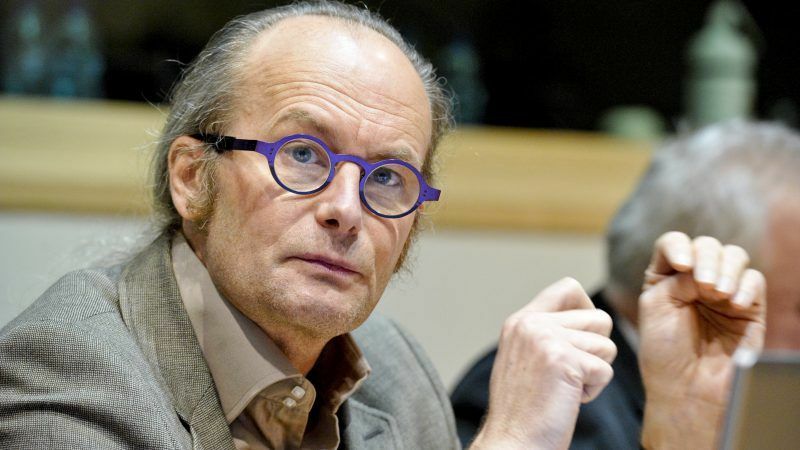 Claude Turmes represents the Greens/EFA group in the European Parliament and Luxembourg’s Green Party. After weeks of intense negotiations, the EPP lead negotiator on energy efficiency walked away from what could have been an honourable compromise – an unconditional minimum 35% efficiency target combined with a strong Article 7 energy saving obligation. Now he is trying to lock his party into backward-looking opposition that could derail the Paris Agreement and jeopardise European climate commitments. The Parliament’s industry and energy committee (ITRE) adopted on 28 November an ambitious target of at least 40% energy efficiency for 2030, a position supported by a progressive majority made of S&D, ALDE, Greens, GUE and the 5 Star Movement. Already at that time, the EPP refused to be part of a compromise and sided with eurosceptics, nationalists and the far-right, attempting to dismantle energy efficiency ambition and lower it to 30%. Once again, ahead of this plenary vote, the EPP led by German MEP Markus Pieper tabled amendments to lower ambition by introducing all kinds of damaging conditionality on the target and by introducing all kinds of exemptions for the energy saving obligation under Article 7, diminishing its ambition from 1.5% to less than half (0.75%). Ambition on energy efficiency is nevertheless a no brainer for policy-makers. On top of climate benefits, it delivers local jobs and growth, increases the competitiveness of the manufacturing industry and helps reduce our ever-growing dependence on energy imports, most of them coming from Putin’s Russia. After a weak political deal reached by member states during the energy Council of 18 December, votes in the European Parliament are the last chance to preserve EU’s credibility on the implementation of the Paris Agreement. The 27% renewables / 30% efficiency targets proposed by the Council are not in line with the Paris Agreement. Together with the 40% greenhouse gas emissions reduction target, they represent a “delayed action” approach, that will make post 2030 efforts so intense to reach zero carbon in 2050 that it would become nearly impossible. In other words, this would mean a lost decade for energy and climate in Europe. On the contrary, the Greens propose to follow an “early action” approach that is more realistic, more progressive and more cost-effective. That implies much higher ambition on the renewables and energy efficiency targets for 2030. It also requires an honest reading of the Paris Agreement: in order to keep a chance to maintain global warming writing the limits of 1.5/2 degrees Celsius, Europe must be a net-zero carbon economy by 2050 at the latest. I call on MEPs who care for the climate, whichever political family they belong to, to support the principle of a carbon budget and a net-zero carbon economy by 2050 in the vote on the Governance Regulation, and to support high ambition in the renewables and energy efficiency directives. Under this condition they would make the European Parliament great again and offer a decent counter-proposal to the Council. That said perhaps they are hypocrites and liars – they know what they should do – but just cannot be bothered – too fat, too lazy, too stupid (pick your own too) & thus are guilty of betraying the electorate. Well, here is a warning boys n girls. I’m writing my will (I’m becoming an old bugger) and it has some interesting provisions – which will directly affect the decendants of the dolts that are playing games now with measures to address CO2 emissions. & you would be right – I’m making a threat & it’s a real one & the likes of Pieper & similar idiots better take it seriously – & for clarity – it’s not against them – it’s against their decendants. Want to play games? – well I can as well & you won’t like mine because I don’t play “nice”.